Taking notes of the games I play has become a routine of mine. This is especially helpful when I play an RPG. 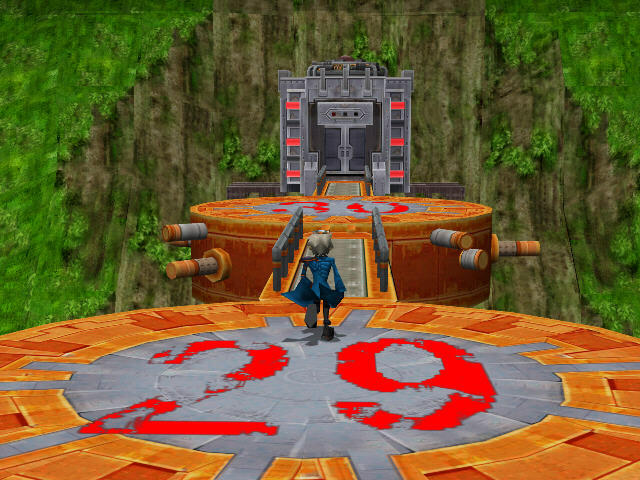 Now Pokemon Colosseum isn’t necessarily the most convoluted example of the genre, but there are some key points I needed to remember during my playthrough. Plus, since I’ve been nicknaming every Pokemon that I can, giving them a greater sense of uniqueness, it’s kind of fun to keep in-depth records of each. So follow along if you will, with my session-to-session notes on my Pokemon Colosseum progress. November 20, 2013. The opening cinematic is so goofy. Actually, the game in general is goofy, or at least the dialog is. The teacher in the Phenac City Pre Gym will update my PDA as I encounter new Pokémon. Return to the Phenac City Pre Gym and speak with Justy when I have a full party of Pokémon. 12/15/13 EDIT. After beating him, he rewarded me with TM27 – Return. Snagged a Makuhita and a Croconaw. Fixing to leave Phenac City. 1:02. 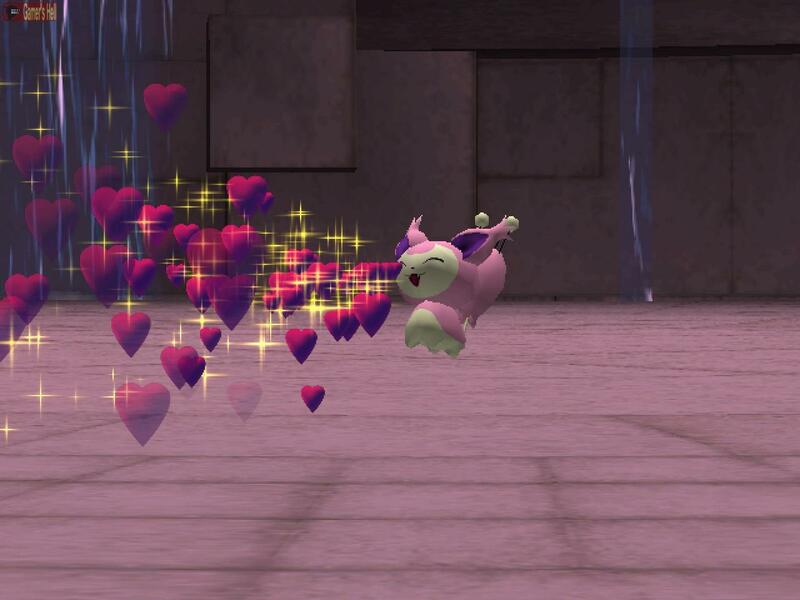 Skitty tries to woo its opponent. November 21, 2013. Traveled to the construction site of a new colosseum but there wasn’t much to do. Hit up Pyrite Town and battled many trainers. Duking is the mayor and he’s beside himself now that thugs have taken control. Press the button on Duking’s bookshelf. Snagged a Misdreavus, Noctowl, Flaafy, Skiploom, Quagsire, and a Slugma from the trainers I battled. 2:20. November 23, 2013. Silva, a friend of Duking’s, stole a gear to the Pyrite windmill in an attempt to stop the thugs in town. I recovered the gear and Duking realized something needed to be done. Battled at the rundown colosseum in Pyrite. Won and was let into Mirror B.’s base – where they’re giving away shadow Pokémon. Battled a half-dozen foes and rescued Silva. Snagged a Remoraid and a Mantine. 4:34. November 27, 2013. Still making my way through Mirror B’s hideout. Fought another dozen enemies and snagged some more Pokémon. Specifically I snagged a Qwilfish, Meditite, Dunsparce, and a Swablu. 6:01. November 28, 2013. Showdown with Mirror B. and his quad squad of Ludicolos. Not to mention his shadow Sudowoodo. They were a tough bunch as I lacked concrete methods to take advantage of the Ludicolos’ weaknesses. Water/Grass types are a tricky combination, especially when my sole fire type is slow and under leveled. It took two tries but I snagged his Sudowoodo. Duking was pleased and made up with Silva. Duking also gave me his Plusle. The Name Rater and Daycare Lady reside in Agate Village. Specifically in the northeastern section. Rui’s grandparents also live in the village; our reason for traveling there. Their reunion was cut short when the goons showed up at the town’s Relic Shrine. Eagun, Rui’s grandfather, attempted to halt the baddies but the shadow Pokémon were too much for his Pikachu. Our turn. It took a few tries again, but I was able to snag a Hitmontop. Protecting the shrine was a sign of goodwill apparently because we can now enter and purify my shadow Pokémon. I purified a half dozen or so after Duking requested our assistance at Mt. Battle. The Poke Mart in Agate sells items (scents) that reduce the darkness in a Pokémon’s heart. 7:46. November 30, 2013. The Move Deleter is taking up residence in the prep area of Mt. Battle. He is sitting on a bench to the right of the entrance. Worked my way through nine battles at Mt. Battle to reach Dakim. He’s the big baddie trying to steal the Time Flute. Meanwhile I’m trying to steal his Entei, or snag it. Two attempts in and no luck. 8:51. December 1, 2013. Go figure. Another couple of attempts at snagging Dakim’s Entei and I catch it with 75% health remaining using a Poke Ball. Vander, an area leader rewarded us with the Time Flute. Rui and I returned to Agate and purified Hitmontop. I named him DJ Boy after the arcade game. A lady in the village gave me a cologne case meaning I can now purchase scents. Jeez, scents seem to do practically nothing. Purified Skiploom and named him Spry Spore. A mysterious lab has been built in the center of the desert so that will be our next destination. Or not. Duking sent me an email noting that officer Sherles captured two CIPHER gang members. I opened their jail cell and took a set of elevator keys off one of the sleeping inmates. It belonged to an elevator in their Pyrite hideout. The elevator led to The Under – an entire underground city complete with shops and a colosseum. It’s a shady neon lit nervous about spies. There’s a vending machine in the southwestern corner of The Under. In the northwestern corner of The Under is an herb shop. The Poke Mart in The Under sells many TMs. Kids are trying to save the day. I ran across a group of kiddos trying to get the Kids Grid (an online network?) back up. Silva entered and was captured. How do I rescue him? Traveled to Phenac and tried beating Justy but he’s still too much for my Pokémon. Purified Qwilfish and named her Miss Priss. 11:54. December 3, 2013. I continued on being lost and battled many trainers in Pyrite. When I returned to The Under, I managed to breach the correct place in Silva’s makeshift jail cell for him to approach us and give me a new UFO disk. This one allowed me to enter the area where Venus was filming. I did battle with her twice, successfully snagging Suicune on the second attempt. I also purified Swablu and named her Nimbus. 13:31. A battle featuring the female protagonist of Pokemon Ruby and Sapphire. December 5, 2013. Chased Venus to the depths of The Under and got a key to enter the Cipher Pokémon Lab. Snagged a Gligar, Sneasel, Piloswine, and a Stantler. Purified Sudowoodo and named him NOT a Tree. Next, we’ll need to infiltrate the secret lab. Also, at some point I should return to The Under and partake in a Colosseum battle. Their award is a TM. 14:53. December 6, 2013. Alright, steadily making my way through the Cipher Lab. Snagged an Aipom and purified Entei and Meditite. Named them August and Mahatma respectively. Snagged a Murkrow after multiple attempts. It was easier to catch Entei and Suicune! Snagged a Fortress. Snagged an Ariados too. Purified Gligar and named him Othello. 17:01. December 7, 2013. Made it a little deeper into the Cipher lab. Snagged a Vibrava. Changed Entei’s name from August to 1 Hot Dawg. 17:33. December 11, 2013. Battled Ein in the Cipher Lab. His Pokémon averaged 8 levels higher than mine so it took a few tries to snag his Raikou and best him. I missed snagging a Pokémon in the lab! I didn’t catch Granbull. There is hope however. I should be able to re-catch it after completing the game. I still have a shot at Ho-Oh. I took the data disc that Ein left behind and took it to Nett and the other kids. He’ll try and extract something from it but Ein wiped it clean. The kids mentioned Silva was checking out Realgam Tower so that’s our next destination. Maybe not. I’ve battled two trainers so far and they were Mirror B. and Dakim. I should probably enter a few colosseum battles to level up my party. Also, at this point in the game, I need to settle on a party and not concentrate so much on purifying Pokémon. 19:12. December 15, 2013. Defeated Justy. Competed at the Phenac Colosseum. Blew my opponents out of the water. Not a good place for experience, unless their Pokémon get stronger. Won a cash prize and TM 18 – Rain Dance. Went through again and won more cash and a different TM; TM11 – Sunny Day. Third time with a third TM; TM 19- Giga Drain. Fourth time and a fourth TM; TM 22 – Solarbeam. I need to battle at the Pyrite Colosseum when I have a party around level 50. Same with The Under Colosseum. Mid 50s for that one. Purified Suicune and named it Swee-Koon. Well shoot, my party was able to handle the Pyrite Colosseum at least once. I won TM 1 – Focus Punch. Purified Forretress and named him Baba Vida after a medieval Bulgarian fortress. I need to resume battling at the Pyrite Colosseum to purify Raikou and grind some levels. 22:06. December 19, 2013. Continued battling at the Pyrite Colosseum. On the second go around I picked up mucho dinero and TM 07 – Hail. Taught Baba Vida Giga Drain using TM 19. Received TM 05 – Roar for overcoming the Pyrite Colosseum a third time. Finally I received TM 31 – Brick Break after beating all challengers at Pyrite Colosseum a fourth time. A fifth set of victories rewards just cash, no money. Purified Raikou and nicknamed it Raiden. Started battling at The Under Colosseum. Need to resume. 24:11. December 20, 2013. Shoot. I forgot to resume battling at The Under Colosseum! I’ll need to get on that. Instead I traveled to Realgam Tower and beat Mirror B. and Dakim again. Not so tough after a few hours of grinding! I also snagged a Delibird and Sunflora. 24:58. December 21, 2013. Battled the remaining head creeps of Cipher and snagged a Heracross. Had a conversation with the actual head of Cipher, Nascour. He’s my next target. Received a Master Ball from Rui’s grandfather and Nett shot me an email containing a partial list of Shadow Pokémon. 26:27. December 22, 2013. Team Snagem have been in cahoots with Cipher the entire time. No duh says I. Snagged Skarmory from the leader of Team Snagem. The next four fights were consecutive without a chance to heal. Each trainer had a Shadow Pokémon too. Snagged Miltank. Snagged Absol. Snagged Houndoom. Snagged Tropius. Well, maybe not Tropius yet. That battle was followed up with a battle against Nascour. Thankfully my party was completely healed. However he had a Metagross to snag. I defeated the remainder of his party, had Metagross in the red but couldn’t catch him. He wound up killing himself with Shadow Rush. Lame. 27:37. December 29, 2013. I’ve gone about these four consecutive battles stupidly. I’ve snagged the first three and saved. No need to worry about those first battles. With Tropius however, I’ve snagged it a couple of times and either lost to Nascour and didn’t save or have his Metagross accidentally faint. Due to this, I’ve probably spent four hours trying to catch Tropius and Metagross in one shot. Regardless, I’ve finally learned and snagged Tropius and saved. Watch out Metagross! What a finale! Metagross probably had less than 10 HP remaining and after a few turns throwing Great Balls and it not using Shadow Rush, I caught it! Upon beating Nascour, the mayor entered the colosseum and reveled himself to be the true leader of Cipher. Commerce battle. His party consisted of level 60 Pokémon, with the exception of the level 55 Shadow Tyranitar he saved for last. Despite my party averaging 10 levels below his, we overcame by exploiting weaknesses and getting lucky. It only took one attempt too! I snagged Tyranitar as well. What’s up with the hours it took to snag Tropius and Metagross? Stubbornness and unwillingness to use the Master Ball on my part, that’s what. Post credits the emails start rolling in. The first chain reveals that the trainer with the Shadow Quilava is in the Snagem Hideout. 30:13. December 30, 2013. Purified Metagross and Tyranitar using my two Time Flutes. I nicknamed Metagross Shepard and Tyranitar Wrex; both references to Mass Effect characters. There is a third Time Flute located around the 100th trainer on Mt. Battle. That’ll come much later I anticipate. Snagged Quilava from Rosso in the Team Snagem hideout. Snagged Granbull in the Shadow Pokémon Lab. Snagged Bayleef from Verde in the Shadow Pokémon Lab. Purified Tropius and named him Latundan, a type of banana. Specifically a triploid banana, such as the bunch hanging from Tropius’ neck. I need to research the large snagging machine in the bottom of the Snagem hideout. I should also find a Shadow Searle, Unsparing, and Shackle. 32:49. January 1, 2014. Snagged Searle in the Snagem headquarters. Snagged Unsparing. Purified Quilava and nicknamed him Vulcan. Beat Ginza in the Snagem headquarters. After beating Ginza I received a new UFO disk. It took me to a new colosseum beneath The Under. The Deep Colosseum. The first round was tough. The first three trainers weren’t too bad despite their Pokémon averaging 10 levels higher than mine. Mirror B. was the finale of the first round and per usual, his Ludicolos were tough. I received 20,000 Poke Dollars for winning and TM 12 – Taunt. The second go around was also tough. I beat Dakim with a one-turn window for error. I won another 20,000 Poke Dollars and TM 48 – Skill Swap. 34:58. January 2, 2014. A third round battling in the Deep Colosseum saw me face off against Venus for the finale. She beat me the first time but a few adjustments to my party allowed me to beat her handily. I won 20,000 and TM44 – Rest. A fourth time resulted in a finale with Ein, 18,000 Poke Dollars and TM 02 – Dragon Claw. A fifth time through resulted in a faceoff against the deep king Agno and his formidable team which included a level 70 Kendra and a Shadow Shackle! You know I snagged that Shackle ASAP. It appears that a doppelganger is attacking people with a Shadow Pokémon. I’ll follow the leads that I’m receiving via email and snag the final Shadow Pokémon. 37:12. January 3, 2014. Oh my gosh, does everyone love to use Earthquake! It’s really getting annoying! I tracked down the imposter and bested him on my second attempt. I also snagged his Shadow Tonetic, meaning… I’ve snagged every Shadow Pokémon! Now to purify them all. I’ve exchanged Wrex for Tonetic to begin purifying my Pokémon. I’ve also returned to The Under Colosseum as I didn’t do so earlier. For winning against the first group of for trainers I received TM 37 – Sandstorm. My second time through resulted in a victory and TM 36 – Sludge Bomb. A third time through and I won TM 30 – Shadow Ball. A fourth time resulted in me winning TM 23 – Iron Tail. I purified Tonetic and named him Lucky. Then I exchanged him for Unsparing. I headed to Mt. Battle and made it through twenty trainers (all of their parties averaged level 20). 39:58. January 4, 2014. Made it to the 50th trainer on Mt. Battle. Purified Bayleef and named him MiracleGro. Purified Houndoom and named her Cqustrtion. Purified Unsparing and nabbed her Asterism. Purified Shackle and named her Bratwurst. Purified Granbull and named her BettyWhite per Jeff. Purified Searle and named him Bob Ross. 42:33. January 5, 2014. Purified Sunflora and named her Helianthus, the genus that sunflowers belong to. Purified Absol and named her Absolut after the Swedish vodka. Purified Mantine and named her Big Bertha. Purified Sneasel and named him Wesley, after Wesley Snipes. Purified Stantler and named her Blitzen. Purified Ariados and named her Cremation. Purified Vibrava and named him Rodgers. Purified Heracross and named her January. Purified Remoraid and named her Lil Bertha. Purified Dunsparce and named her Kielbasa. Only seven more Pokémon to purify! 45:19. January 6, 2014. Purified Miltank and named her Lon Lon, after the ranch in The Legend of Zelda: Ocarina of Time. Purified Aipom and named her Handy. Purified Murkrow and named her Drizella, after the Disney Cinderella antagonist. Only four more Pokémon to purify! 47:12. The Battle Tower featured 100 consecutive battles with break areas after each tenth trainer. January 7, 2014. Purified Ledian and named him Vaio as I was listening to a tad of Sony’s 2014 CES show via the January 7, 2014 Giant Bombcast. Purified Piloswine and named her Hirai for much the same reason. Purified Delibird and named her Polaris. Purified Skarmory and named him Songbird, taking inspiration from BioShock Infinite. That’s it! I’ve purified all Shadow Pokémon! Next up – tackling Mt. Battle from the Battle Mode and not in the Story Mode. I loaded up my party. Thespian (Espeon), Shepard (Metagross), Wrex (Tyranitar), Tesla (Raikou), 1 Hot Dawg (Entei), and Swee-Koon (Suicune). Mt. 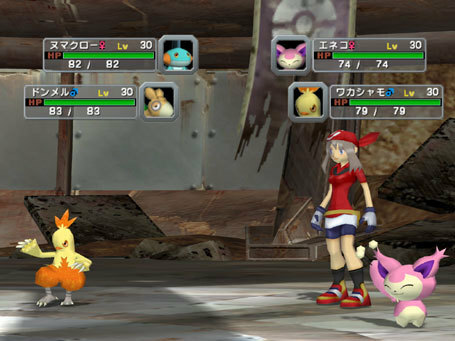 Battle operates just as the Pokémon Stadium games did, and as the other modes in Colosseum. Both trainers enter with a party of six and then pick three to fight with (I choose to do single battles instead of double battles as they’ll take less time). My opponent’s Pokémon appear to cap out at level 59, the highest level of any of my Pokémon. 48:56. January 10, 2014. Resumed Mt. Battle. I fought up to the 50th trainer and haven’t encountered much resistance yet. I’ve won most of the matches without my team sustaining any damage, rewarding me with continues. I’m up to 51 somehow. 51:07. January 12, 2014. First loss occurred with trainer 77. She had a Jirachi too! It started getting tough around trainer 60. Jeez, trainer 80 had a Groudon. Many of the following trainers had legendary Pokémon. Success! I used 6 continues throughout the 100 trainers. 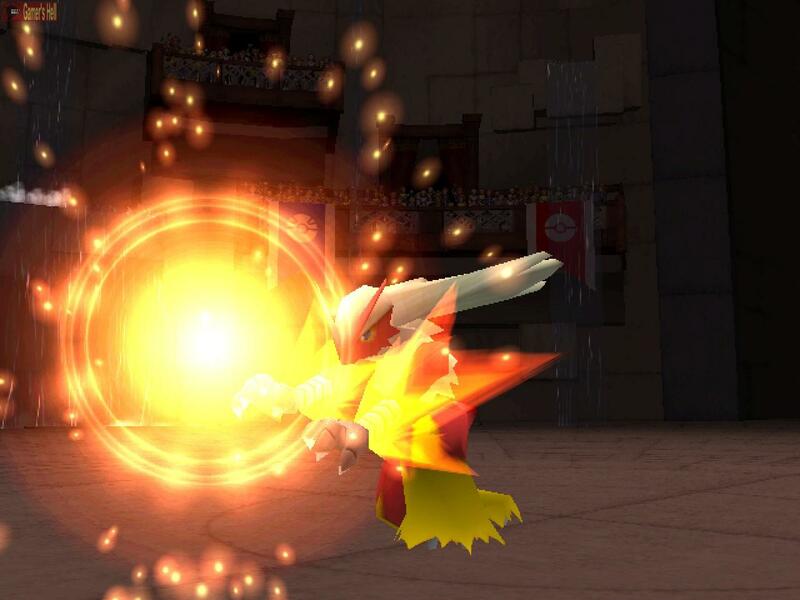 That means… I have been awarded a level 70 Ho-oh! I have completed Pokémon Colosseum 100%!!! 55:32.